There’s one more preseason game left before final cuts are made. However, there are some indications as to who might not be sticking around on the final roster. Last week, I made a few observations about the roster decisions and when I expected them to be made. I was wrong about the punter and it’s becoming clearer that the Broncos aren’t that concerned about keeping two receivers who can return punts and kicks. The Broncos also made a quicker decision about the tight end position, though they still need to figure out who will be the third tight end. Although the fourth preseason game has yet to be played, I’m seeing enough information to figure out a likely 53-man roster and practice squad. So here are my predictions and what I believe will be the Broncos’ reasoning, even if I don’t agree with it. I received updates from a few players, so here is the updated roster breakdown. Let me know if you see any errors. I updated these manually rather than use excel, so I could have missed something. Nothing changed too drastically, but it was interesting to see what changed after Saturday. Hopefully this is a decent guide for what to watch for on Thursday. This one was hard for me to find things I didn’t like outside of a few players who will likely be cut. The Rams look much improved from last year with a good defense. It will be interesting to see if they claim the division. 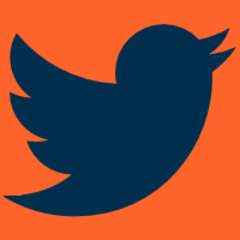 Use this thread to post any information about players the Denver Broncos have either waived or released to get their roster down to 75 players. I will update the main post as much as possible throughout the day, so feel free to share additional news you see in the comments. I’m curious to see how people’s projected rosters have differed after last night, especially at QB, RB, LB and Punter, so I’m gonna do a round 2. You can copy and paste your old roster from the comments last time. If at the top of your comment you can put what changed from your last roster to this one, it would be a big help when I compile these (ie Cut Sanchez and Colquitt, replaced with Watson and Dixon). If you didn’t submit a roster last time, but want to this time, feel free (copy and paste roster below into a comment and delete out players you don’t want). Since roster cuts down to 75 are due Tuesday, I’m going to cut this off at 6 PM mountain time Monday, and try and post an update that night. Here’s a link to the last round. One other thing, try and make it clearer what you want to do with the suspended Keo. If you think he’s going to earn a roster spot after his suspension, clarify what player you think he’ll replace. If you think he’ll stay on the team but be cut after 2 weeks, note that as well.